William Robinson, Jr was born in 1940 in Detroit. He grew up in a poor neighborhood, and was brought up by his elder sister after his mother died when William was young. His uncle Claude gave him the nickname "Smokey Joe" when he was a kid and it stuck. William was a clever child who loved music and sport. His early musical influences included Nolan Strong & the Diablos, Billy Ward and his Dominoes and Barrett Strong, a Detroit native, as a strong vocal influence. Smokey formed a doo-wop group called the Five Chimes while he was still at Northern High School in 1955. The line-up included childhood friend, Ronald White and classmate Pete Moore. He became a prolific song writer and in 1957, the group was renamed the Matadors and included Bobby Rogers. Another member, Emerson Rogers, was replaced by Bobby's cousin Claudette Rogers. The group's guitarist, Marv Tarplin, joined them sometime in 1958. The Matadors began touring Detroit venues around this time. They later changed their name to the Miracles. A chance meeting with record producer Berry Gordy Jr. in 1957, after a failed audition for Brunswick Records led to a contract with Motown Records as well as an important working relationship. Gordy was impressed with Robinson's vocals and his ambitions to be a songwriter. The group released their first single, "Got a Job" (1960), an answer song to the Silhouettes' hit single "Get a Job" on End Records. Gordy formed Tamla Records which later became Motown and The Miracles were one of the first acts to be signed to the label. In late 1960, the group recorded their first hit single, "Shop Around", which became Motown's first million-selling hit record. Then in 1970, The Miracles went to become top of the charts in UK and US with a somg which had been previously on their Make It Happen (1967), "The Tears of a Clown", became a number one hit in the UK before it was re-released in the USA. 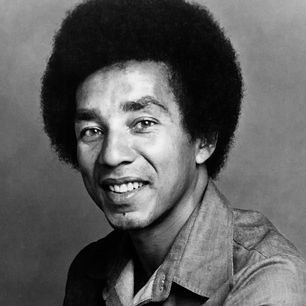 Smokey Robinson was also one of the major songwriters and producers for Motown, penning several hit singles for Mary Wells’, "My Guy"; The Temptations’, "The Way You Do The Things You Do", ‘My Girl” and "Get Ready"; Brenda Holloway’s "When I'm Gone" and "Operator"; The Marvelettes’ "My Baby Must Be a Magician" ; Marvin Gaye’s "I'll Be Doggone" and "Ain't That Peculiar". Smokey stayed with the group as lead singer until 1972. Since 1960 he produced 26 top forty hits. After he went solo he created a more mellow sound for himself,often associated with romantic soul music. Smokey released many successful albums including A Quiet Storm (1974) and Touch the Sky (1983). Initially, Smokey Robinson's solo career suffered from his work as Motown's vice president, and his own music took the backseat. He did return to success with "Cruisin'" and "Let Me Be the Clock". In 1981, he was back in the charts with "Being with You". 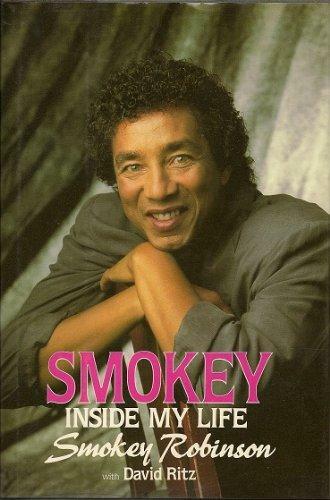 By the mid-1980s, Smokey was battling drug addiction but made a comeback album, One Heartbeat (1988) which contained the successful singles, "Just to See Her" and "One Heartbeat". When Motown was sold off to MCA in 1988, Smokey relinquished his position as vice president and left the label for a deal with SBK Records in 1991. He released several albums on different labels but was unable to achieve his previous successes. The man who was once described by Bob Dylan, as America’s “greatest living poet.” took his work in a new direction in 2004, releasing a collection of music that reflected his spiritual beliefs entitled Food for the Spirit. Smokey & Friends was released in mid-August 2014. It was an album of duets, including with Elton John, Linda Ronstadt and James Taylor. It reached number 12 on the Billboard album chart.